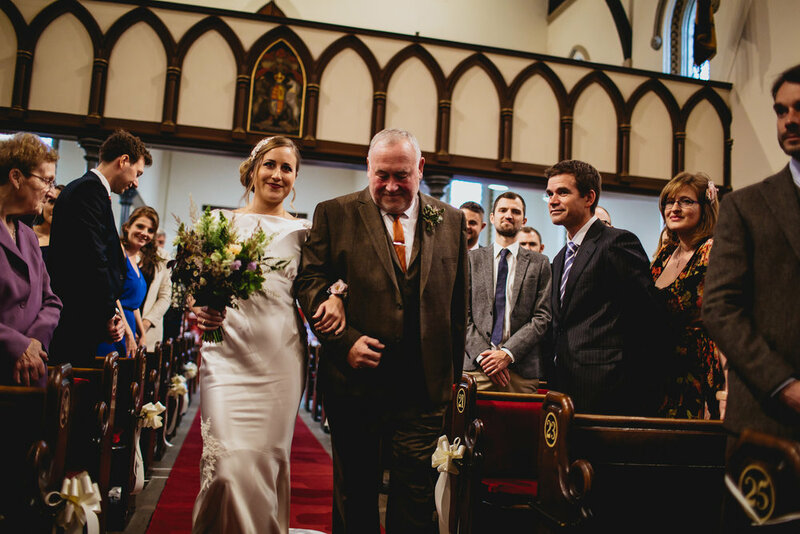 Ali & Phil tied the knot at St. John’s Church in Farsley, Leeds. The ceremony was beautiful and Ali looked just incredible in her dress. 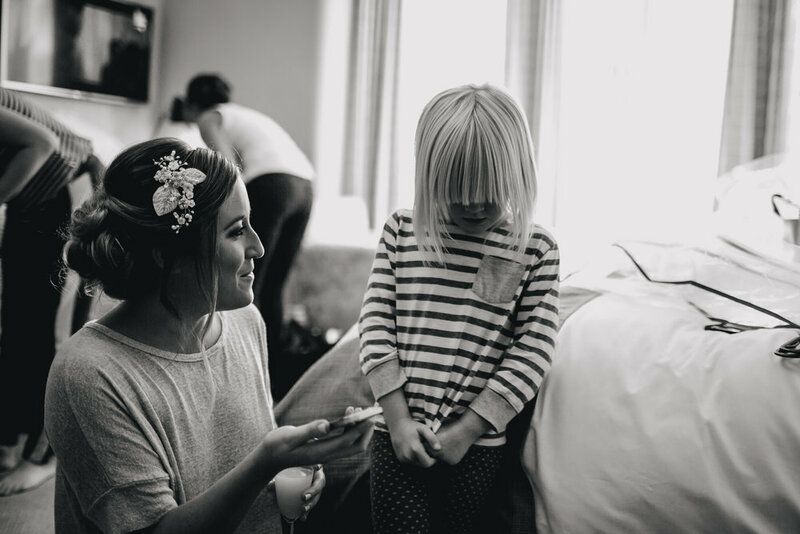 Her bridal preparations took place just up the road at the Calverley Arms Hotel. 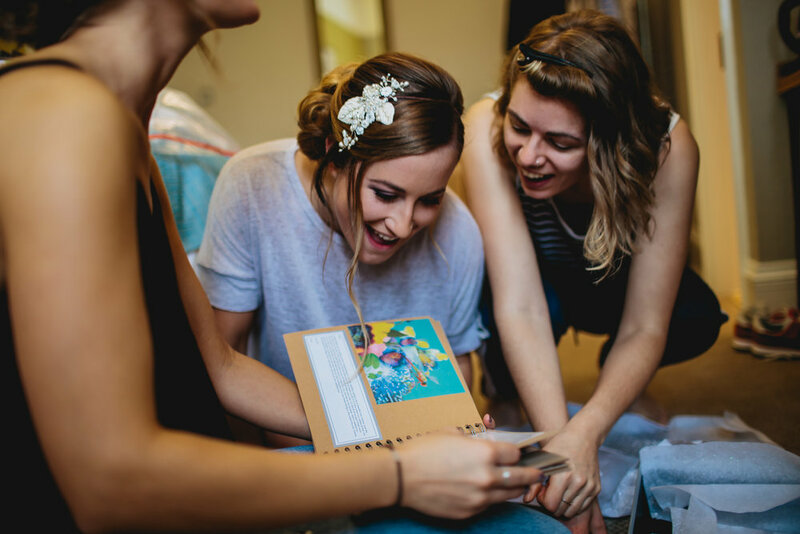 One of her wedding presents from a close friend was an album filled with childhood photographs which instantly brought on the tears, it was a wonderful idea for a gift! Phil got ready with the boys at their house in Rodley. The sun was shining and we had a few pre-wedding beers in the garden - what a way to start the perfect wedding! 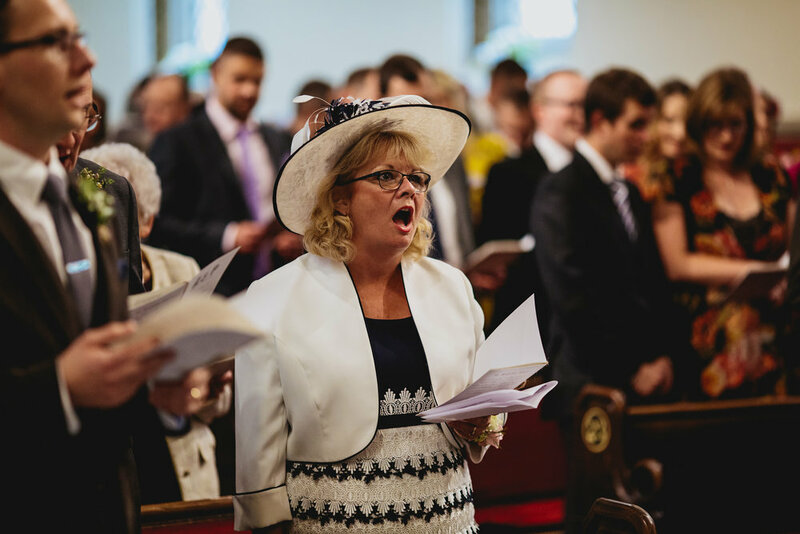 The ceremony was lovely, both mums performed a reading and one of Phil’s groomsmen played the piano and sang ‘Always Look On The Bright Side Of Life’ which made all the guests chuckle and sing along. The reception took place at Sunny Bank Mills - it was my first time at this venue and holy moly it was amazing! It’s an old textile mill which has since been converted into an art space/gallery/events venue and it has character abundance, what a stunning building. 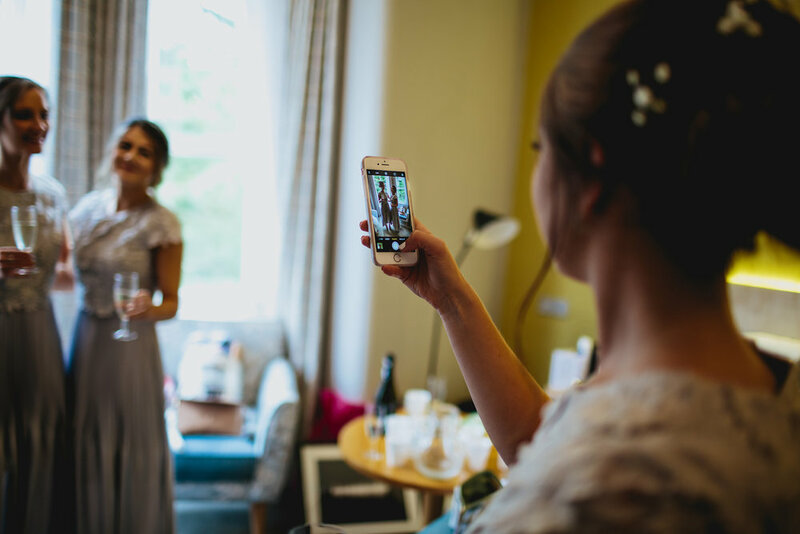 Ali & Phil had spent ages decorating it with bunting, fairy lights and photographs from their time together, as well as with many of their guests. I love when couples really make the venue their own with personal touches like this. Before we ate we had a flash mob choir consisting of about a dozen parents, family members and friends singing an a cappella version of Everybody Loves Somebody and they were so good! Neither Ali nor Phil had any idea this was planned, and the expressions on their faces was just priceless throughout. After food we cut the cake and moved on to dancing, with music provided by the amazing Dirty Funk Band and what a soundtrack they provided - a fantastic selection of Funk, Soul and Motown with brass section galore! We partied long into the early hours and had such a brilliant night. Thank you so much Ali & Phil for having me along for your day, it was so much fun and I can’t wait to go back to Sunny Bank Mills soon. 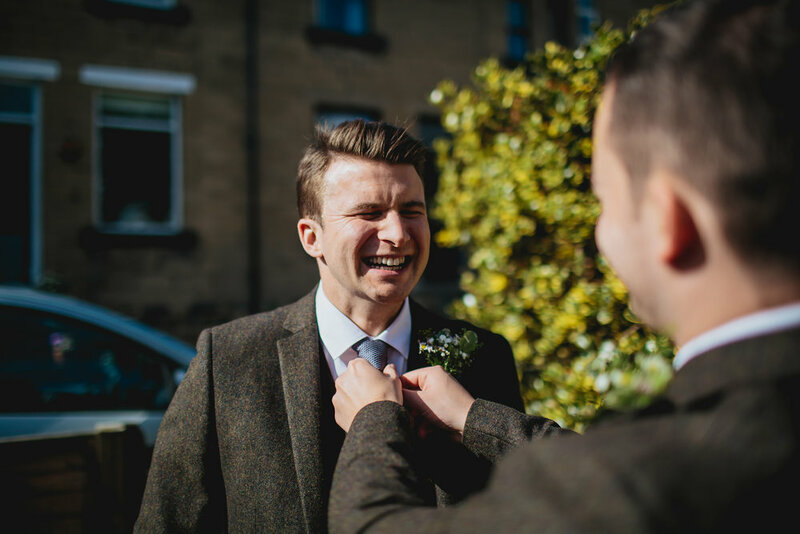 Yorkshire weddings for the win!